NICOLE RICHIE NEWS: Nicole's snaps! Nicole Richie with her friend Brett Ruttenberg on the set of a photoshoot. 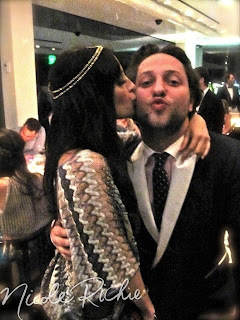 Nicole Richie and Derek Blasberg at his book launch for 'Classy'. Behind the scenes - Nicole Richie getting dressed for the Oscars 2010. Nicole Richie and Peter Lindbergh. Shooting the cover of Harpers Bazaar at the home of Lionel Richie in 2008.